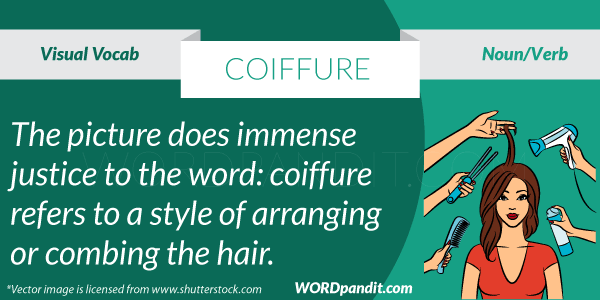 Coiffure is nothing else but an arrangement of hair, usually the task and job of hairdressers. They can make some pretty attractive ones. And trust me, if your hairdresser has had a bad day, he make you and your coiffure look like a total disaster. 1. His ever-changing clothes and coiffure are the things that make him stand out amongst a crowd. 2. Coiffures come in all shapes and sizes: you have to choose one that suits you.